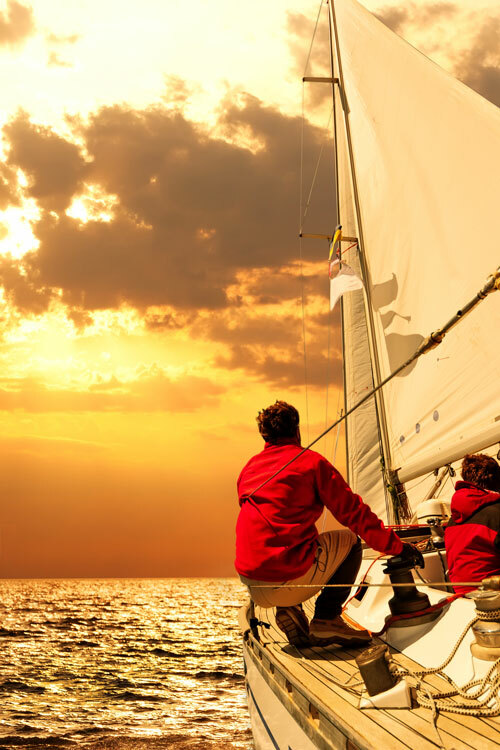 The Chesapeake Bay offers a wealth of sailing and motorboat racing opportunities. Many yacht clubs sponsor weekly racing series. The Chesapeake Bay Yacht Racing Association is an organization of over 75 member clubs that helps organize and manage races in more than 50 different classes of boats. More info. Spinsheet Magazine is a free monthly publication available throughout the Chesapeake Bay region. Spinsheet covers Chesapeake Bay racing, cruising, general sailing, and junior sailing. The online version of this sailing magazine provides lots of great information including event listings, reviews, and a nice photo gallery. One class of racing unique to the Chesapeake Bay are the Log Sailing Canoes. There are about 20 of these sleek sailing craft, some of which are over 100 years old, sailing on the Chesapeake Bay. The Chesapeake Bay Log Sailing Canoe Association hosts a series of races throughout the summer season. Another class of sailboat unique to the Chesapeake Bay is the Chesapeake 20. The Chesapeake 20s are a racing and recreational class of traditional one designs that are large enough for family and friends to sail. The class originated in the 1920-30’s era. There is one Chesapeake 20 on Exhibit at the Chesapeake Bay Maritime Museum. See the Chesapeake 20 racing schedule. For those interested in real speed, there are several hydroplane racing regattas hosted throughout the season. These include the venerable Hampton Cup Regatta and the Cambridge Power Boat Regatta. These regattas draw large crowds of spectators to watch the excitement.